This feature is currently available in Heroku Enterprise. You can also set app permissions with the heroku access set of CLI commands. Team members with the admin role always have all permissions for all of the team’s apps. Learn more about Enterprise Team roles. A complete list of the actions enabled by each app permission is available here. The following subsections provide high-level summaries of these actions. When a team member adds a new app or transfers an existing app into the team, they automatically receive all permissions for that app. 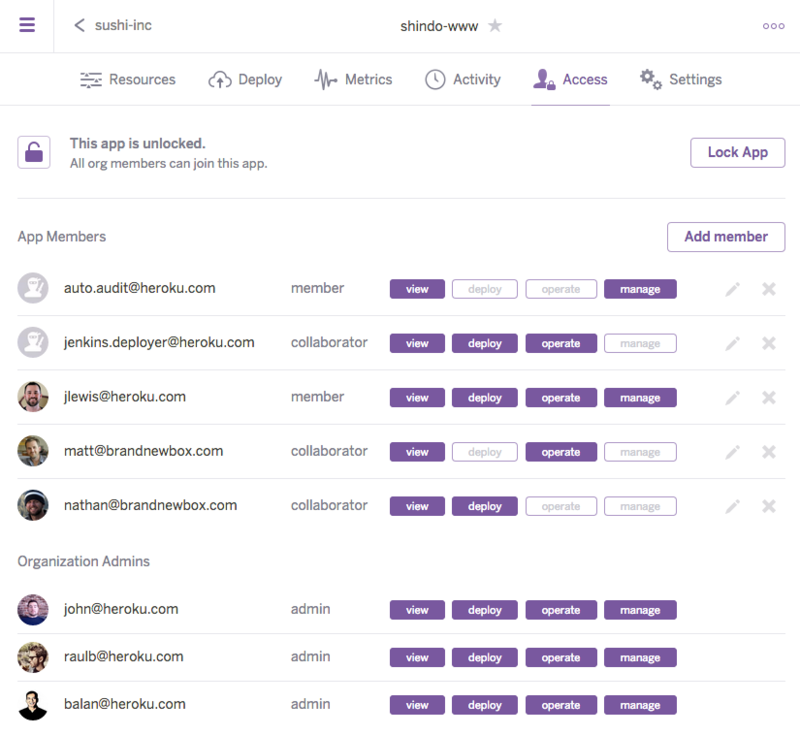 Because this includes the manage permission, the team member can then add other members to the app and assign them the appropriate combination of permissions.